Agia Agathi Rhodes. 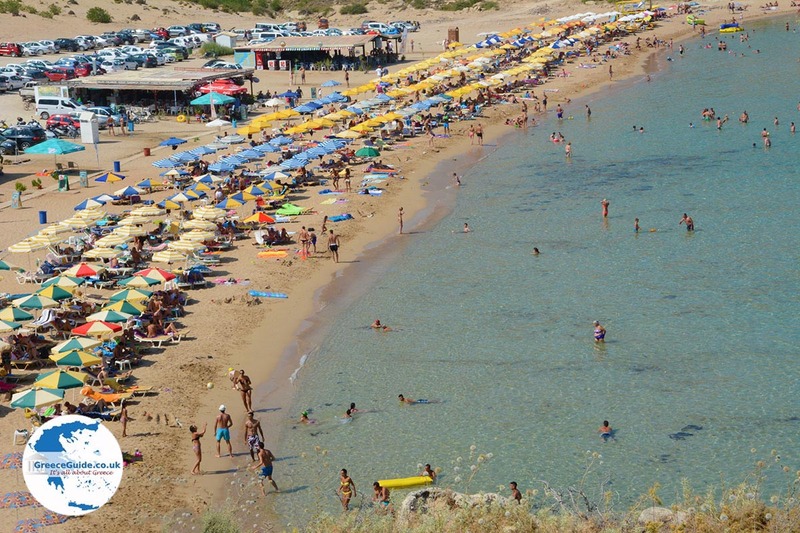 Agia Agathi, also called “Golden Beach,” is a beautiful sandy beach, centrally located on the east coast of the Greek island of Rhodes. Agia Agathi lies between Kolymbia and Lindos, 38 kilometers (24 mi) south of Rhodes town. 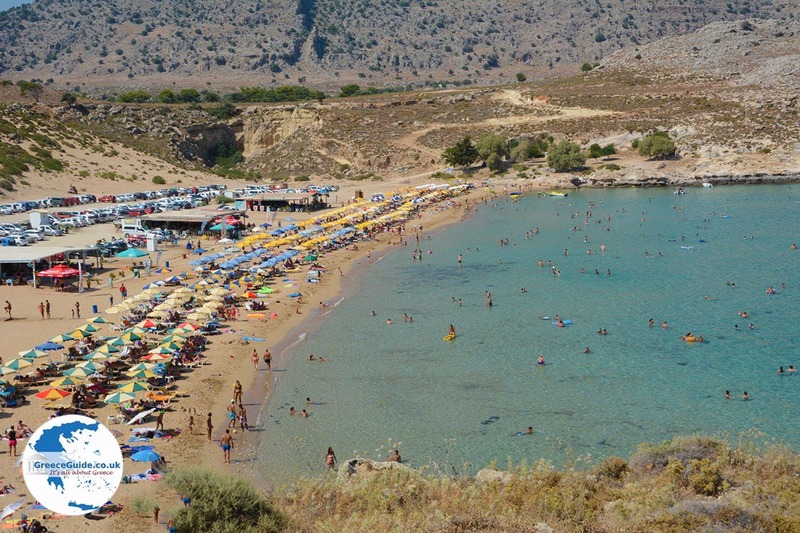 The beach owes its name to a chapel of the Holy Agathi (Agia Agathi), on the edge of the beach. On the beach are three pavilions and behind them is ample parking. 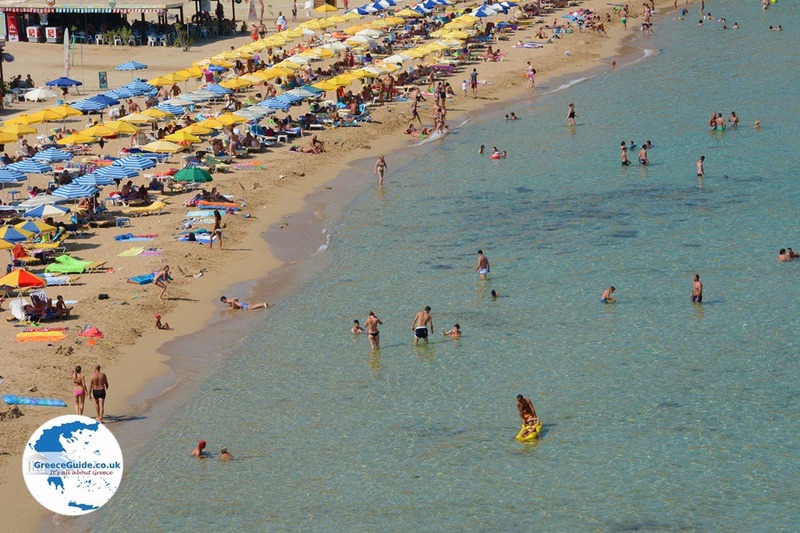 During summer months, this beach is very popular, especially among young people. 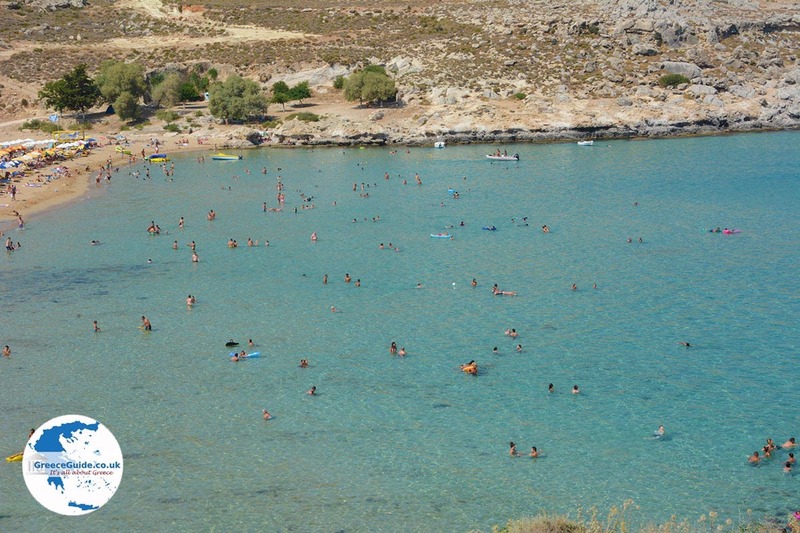 Agia Agathi is ideal for families with small children, because the water is rather shallow. 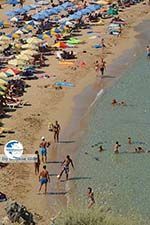 The beach is well organized; there are beach chairs and umbrellas for rent and water sports are available. Two kilometers from Agia Agathi is located the castle of Feraklos and a little further the small fishing village of Charaki. 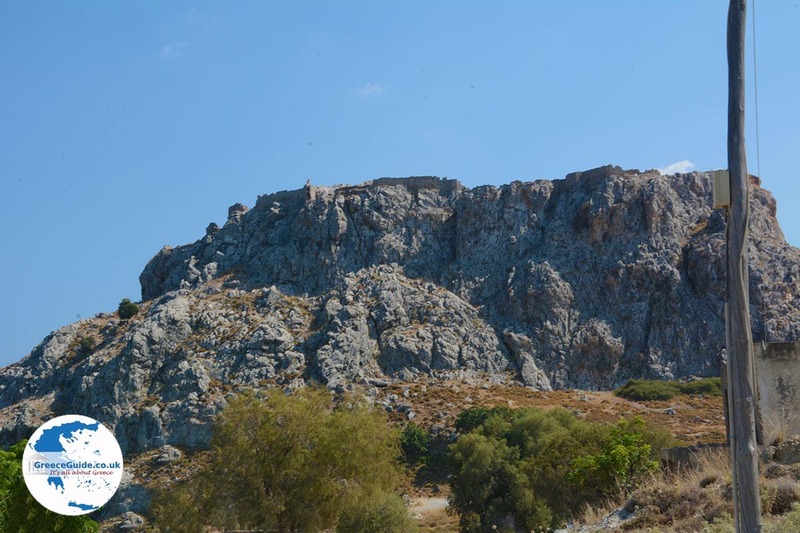 The Feraklos castle was built by the Knights of St. John on a rock at 85 meters (279 feet) above sea-level. The area of â€‹â€‹the castle is approximately 1700 m2 and it has a circumference of nearly 700 meters. It is considered the third main castle of the island, after those in the town of Rhodes and Lindos. 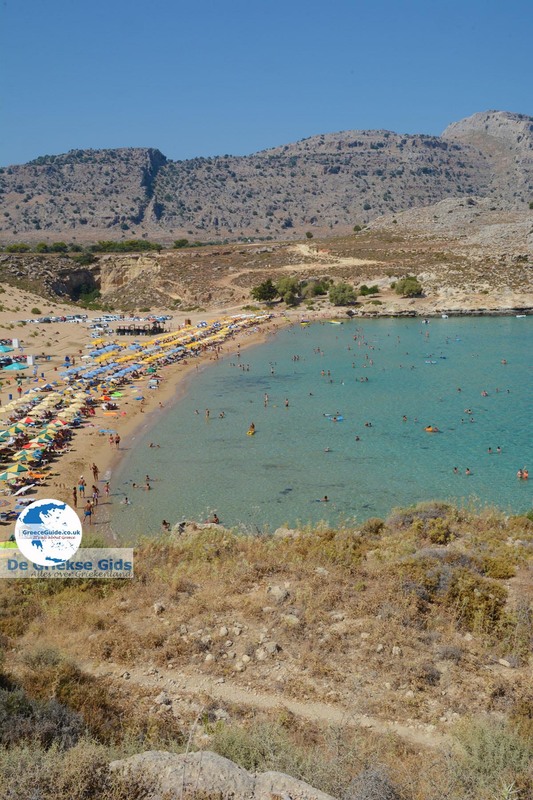 Agia Agathi is ideal for a day trip and is easily combined with a visit to Charaki. 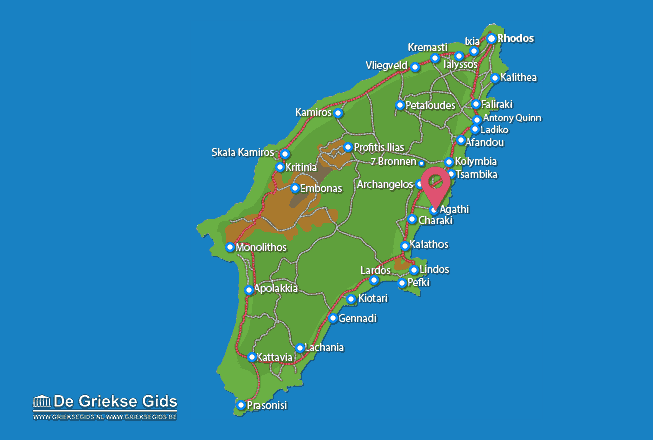 Rhodes: Where on the map is Agia Agathi located?